Many of us have heard the term Hepatitis C but most of us don’t know what the disease is or what it can do to the human body. 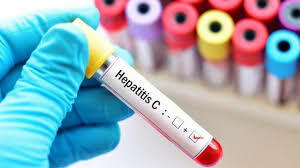 Hepatitis C is a liver disease that results from an infection with the Hepatitis C virus, and it is the leading cause of of liver cancer and liver transplants. Anyone can contract Hepatitis C and most people who are infected may not know it – sometimes for decades. Often there are no symptoms until the disease has progressed. Hepatitis C is curable with the proper treatment but you must be diagnosed before treatment can begin and in order to be diagnosed, you must be tested. Most often a simple blood test called the Hepatitis C Antibody Test can tell if a person was ever infected with the disease. Once a person is diagnosed, proper treatment and management of the disease can begin, often with very positive results. Recent studies have shown that individuals born during the “Baby Boomer” years (1945-1965), are 5 times more likely to have Hepatitis C than other adults. Statistics show that 3 in 4 people with Hepatitis C were born in the “Baby Boomer” generation. There in no conclusive evidence as to why the percentage is so high for this group but some think the lack of infection control procedures in hospitals and medical facilities prior to this time could be the cause. Also it is thought that the sharing of needles and contact with infected blood products could be the cause. For more information talk to a health professional or visit www.cdc.gov/knowmorehepatitis.